George Wald explained the chemistry of the eye, describing the chemical reactions in our retinas when they are exposed to light. He discovered the chemical cycle centered on vitamin A that allows our eyes to record light. He also established the chemistry of color vision and color blindness. Wald was awarded the 1967 Nobel Prize in Physiology or Medicine for his discoveries. After receiving the prize, he drifted away from scientific research, becoming a leading campaigner against the political establishment. He objected to nuclear weapons and to America’s participation in the Vietnam War. Wald featured in President Nixon’s ‘political enemies’ list. George David Wald was born on November 18, 1906 in New York City, USA. His father, Isaac Wald, was a tailor who came to America from Poland. His mother, Ernestine Rosenmann, was born in Germany. Both were Jewish. George was the third of their three children – he had an older sister, Gertrude, and an older brother, Louis. From an early age, George’s mind was conspicuously strong, but his sporting ability was weak – he always regretted this, but could not change it. With the help of his young friend and neighbor Freddy Fisher, George began doing basic electrical experiments. The two boys got hold of a magazine – The Electrical Experimenter – and built telephones and talked to one another from their backyards. 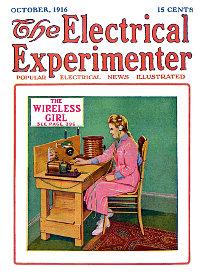 In 1919, age 12, George built a simple radio receiver. He was proud when all the local kids came to his home to listen to the World Series on his homemade radio. George was educated in public schools in Brooklyn. He attended Brooklyn Technical High School. The school was for students who intended to become tradesmen, such as mechanics, carpenters, plumbers, electricians, etc. George decided he would like to become an electrical engineer, until he learned that electrical engineers were deskbound most of the time. He graduated, age 15, in 1922. Although George’s parents were not very well off, they did what they could to help their children improve their lot. In George they saw a superb communicator, someone people listened to with pleasure. Perhaps, they thought, he could become a brilliant attorney. The result was that George enrolled as a pre-law student at Washington Square College of New York University. Nobody in his family had ever been to college before, so it was an alien environment for him. And what an environment it was! For the first time in his life, the working-class kid from Brooklyn was introduced to the classic works of Shakespeare, the remarkable art of Rembrandt, and the magnificent music of Bach, Beethoven, and Mozart. The experience was a revelation. The college’s intellectual atmosphere inspired Wald, but his law course did not, so he switched to pre-medical studies. He found medicine was decidedly more interesting than law, but continued to be uncertain about his future. In Sinclair Lewis’s 1925 novel Arrowsmith, Wald read the story of a young Midwestern man who goes through medical school and becomes a successful physician. The young man is then drawn to medical research work. This struck a chord with Wald. In 1927, he graduated with a B.A. in Zoology and enrolled as a graduate student at New York’s Columbia University, where he became a research assistant to the eminent physiologist Selig Hecht. Hecht was particularly interested in light’s interaction with light-sensitive living cells. Wald studied the vision of the fruit fly Drosophila and dark adaptation in the human eye. According to Wald’s son Elijah, reported by the New York Times, Wald did not receive a doctorate because he did not submit enough copies of his dissertation to Columbia’s library. Columbia required every doctoral candidate to submit 75 copies of their dissertation, which they traded with other universities to build up their library collections. 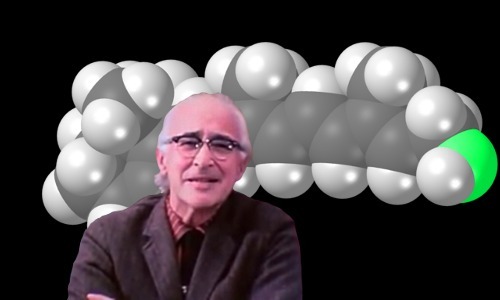 By now Wald was rather obsessed with the question of how vision worked at the molecular level. When light falls on the retina, the light must interact with molecules. What, he asked, were these molecules? To answer his question, in 1932, age 26, he traveled to Berlin, Germany to work in Otto Warburg’s laboratory. Warburg specialized in studying biologically active molecules. A year earlier he had received the Nobel Prize in Physiology or Medicine for discovering the respiratory enzyme and how it acts. It was in Warburg’s laboratory that Wald made his first big discovery. Using spectroscopy he discovered that the retina contains vitamin A (sometimes called retinol). Wald knew that vitamin A deficiency was linked to poor night vision, so he was excited about his discovery. Moreover he discovered a new chemical closely related to vitamin A that also takes part in vision. 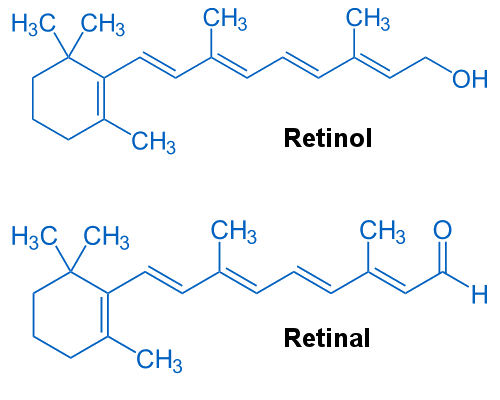 This chemical is now called retinal. In January 1933, Adolf Hitler became Germany’s leader. Wald left Germany in the summer of that year and spent some months working at the University of Chicago. From his experiments in Germany and Chicago, he deduced that the visual process is based on a chemical cycle involving three chemicals: rhodopsin, which consists of vitamin A bound to a protein; retinal; and retinol (vitamin A). The cycle is triggered by photons of light. In 1934, Wald started work at Harvard University in Cambridge, Massachusetts, where he worked for the next 43 years. He began as a biochemistry tutor and became a full professor in 1948, age 41. In the late 1950s and early 1960s Wald discovered how the chemistry of color vision works. He found that color vision requires three pigments called iodopsins, all based on protein molecules bound to retinal. These pigments are erythrolabe, chlorolabe, and cyanolabe. Moreover, he proved that single color blindness is caused by the absence of one of these three pigments. Blindness to red is caused by the absence of erythrolabe, blindness to green means chlorolabe is absent, and blindness to blue, which is very rare, means cyanolabe is absent. Wald was awarded the 1967 Nobel Prize in Physiology or Medicine for his discoveries. His fellow scientists had been nominating him for the prize since 1958. He shared the prize with two other researchers who had made great discoveries in visual processes: Ragnar Granit, and Haldan Hartline. Wald’s early brilliance as a communicator led his parents to suggest he should become an attorney. In fact, his skills made him an inspiring and highly acclaimed teacher. In May 1966, Time Magazine featured him as one of America’s 10 greatest college teachers. His introduction to biology course The Nature of Living Things became a legend at Harvard. Delivered by a renowned Nobel Prize winner, it was taken by many beginning students as their only science course. Wald’s enthusiasm and eloquence converted more than a few arts students to become biology majors. Wald did not restrict his deliberations to earth-based biology. He thought deeply about cosmology and life’s role in the universe. He was struck by the Copenhagen Interpretation of quantum mechanics, which says that an event has not happened until it is observed. Wald became convinced of a profound fundamental connection between the universe and the conscious life that inhabits it. He went as far as stating in a lecture at the Pan-American Biochemistry Congress in 1981 that we and the physical universe we live in were both created by mind. In 1965, Wald was one of a number of people who signed a letter opposing American involvement in the Vietnam War. After winning the 1967 Nobel Prize, he knew his opinions would be more widely reported. He angered some of his fellow scientists when, at a US Embassy dinner in honor of American Nobel Prize winners, he made an anti-Vietnam War speech. In March 1969, age 62, he made a speech at MIT entitled A Generation in Search of a Future, again opposing the war. This powerful speech was reported all over the world. Wald’s primary focus now shifted from scientific research to political activism, where it remained for the rest of his life. When President Nixon’s administration compiled a list of almost 600 ‘political enemies,’ Wald made the list. In May 1972, Wald, age 66, was arrested and held overnight by the Washington D.C. police after he took part in anti-war protest. his views about religion became somewhat less emphatic. Frances Kingsley became Wald’s wife in 1931. They had two sons – Michael and David. After 27 years of marriage the couple divorced in 1958. In the same year, Wald married Ruth Hubbard, an associate in his research team, with whom he again had two children – Elijah and Deborah. Wald officially retired from Harvard in 1977, age 70. He continued to be active in scientific writing and in political advocacy. George Wald died age 90 of natural causes on April 12, 1997 in Cambridge, Massachusetts. "George Wald." Famous Scientists. famousscientists.org. 10 May. 2017. Web.